Rolling. Lights. Camera. ACTION! - CHOMP! SLURRP! BURP! Lights! Camera! Action! Get ready to be dazzled by a filmy ambiance, freebies and delectable preparations! 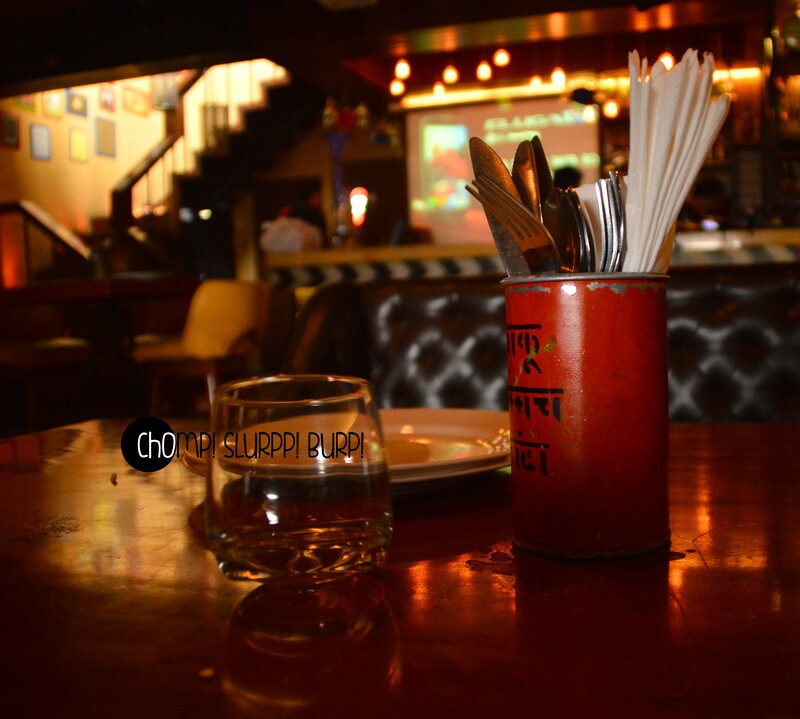 The predecessor of Molecule Air Bar, they use molecular gastronomy and charmingly welcome you with Kesar Lassi shots. 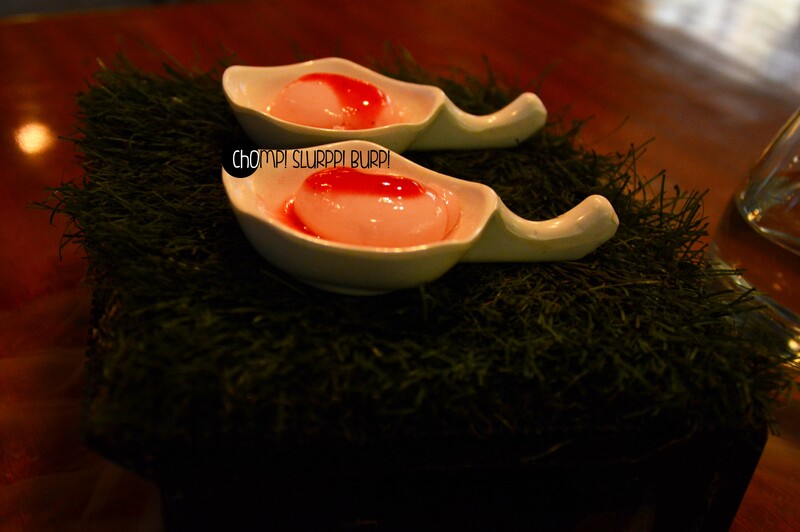 The amuse bouche look like egg yolks that simply burst into your mouth into a million flavours of kesar and pista. 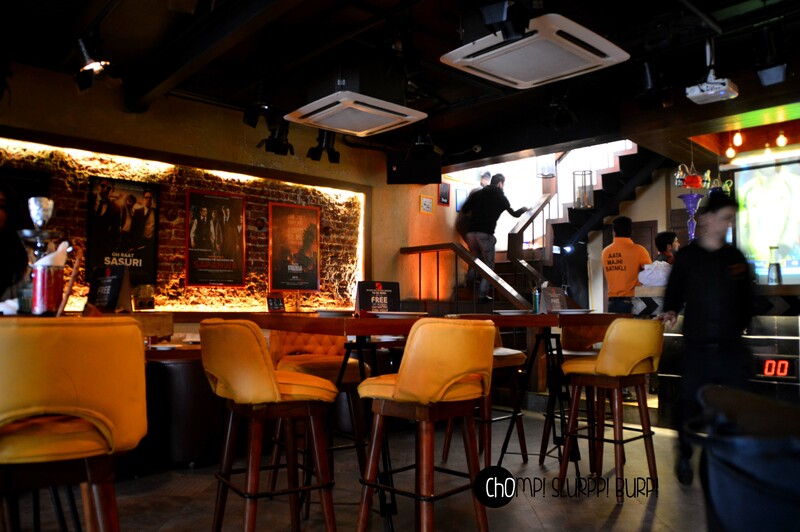 The ambiance is quirky – framed posters of hilarious desi versions of epic movies of recent times – servers donning Bollywood quotes on their t-shirts, the dishes very filmy. 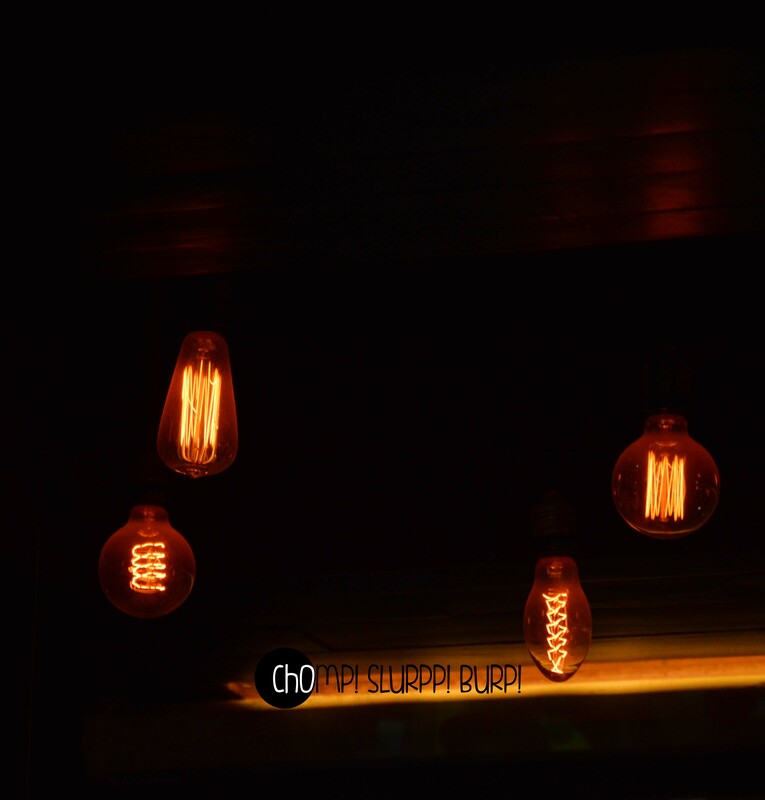 The light fixtures with filament bulbs are breath-taking. Witness some magic on the bar, and if you happen to visit on a Sunday, be ready for a full-house, frivolity and amazing photo-sessions. 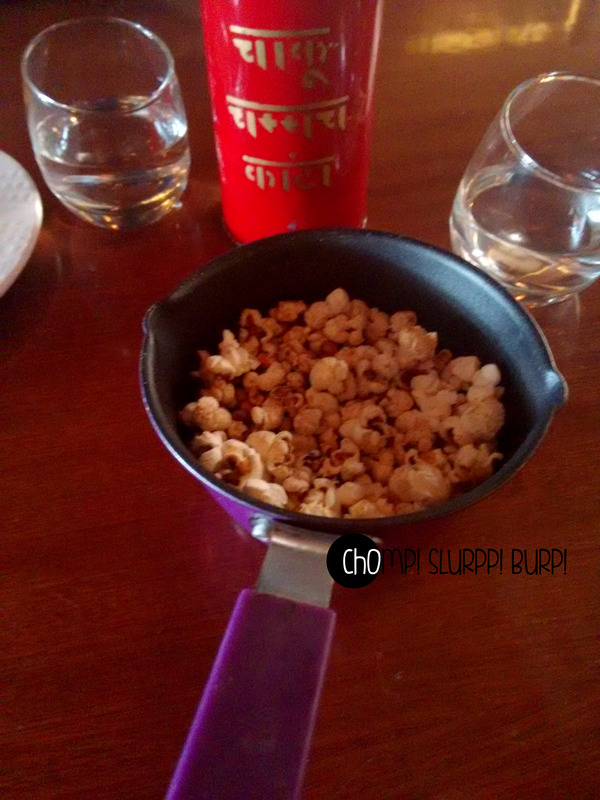 While you wait for your food to arrive, munch on some masala pop corn served in cheery, colourful loud speakers or pans. All the dishes I have tried here, have never once let me down. 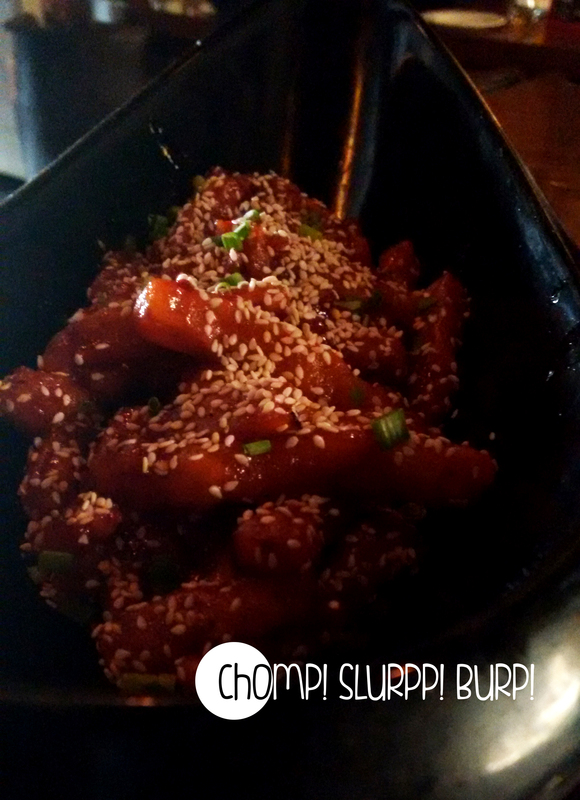 Phuljhadi Potatoes – Honey chilly potato, topped with sesame seeds are crunchy, with just the right amount of honey and the hearty portion renders you craving for what more is in store for you. The pasta now is served in pans, but when I visited them in their early days, they served brilliant pastas in classic white bowls with one of the most exquisite garlic breads I have ever tried in a long time – buttery soft and generously garnished with garlic. 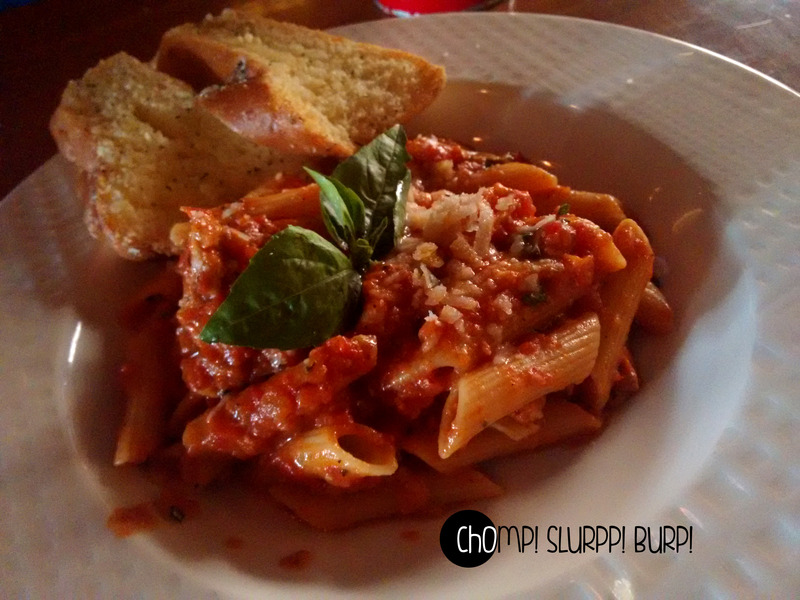 We ordered a Babu Bhai – penne arabiata – done al dente, sprinkled with parmesean cheese – the crunchy tomato base was both creamy, and very flavoursome. I would swear by the combo-meals served by them. Amazing portions and distinct tastes. Chang-Lee – A Chinese combo with chicken in oyester sauce with kimchee salad. Diced pieces of succulent chicken in zesty sauce. 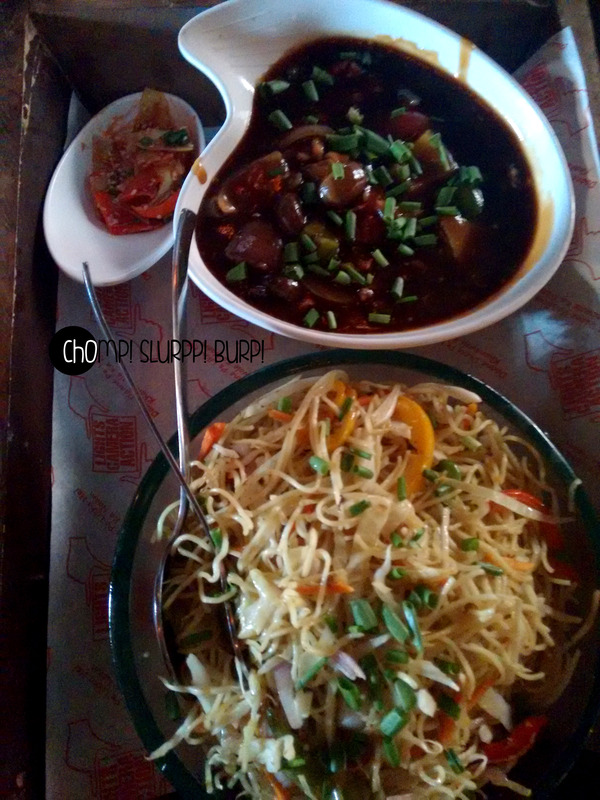 The hakka noodles are lightly tossed, lightly flavoured and worked well with the chicken. 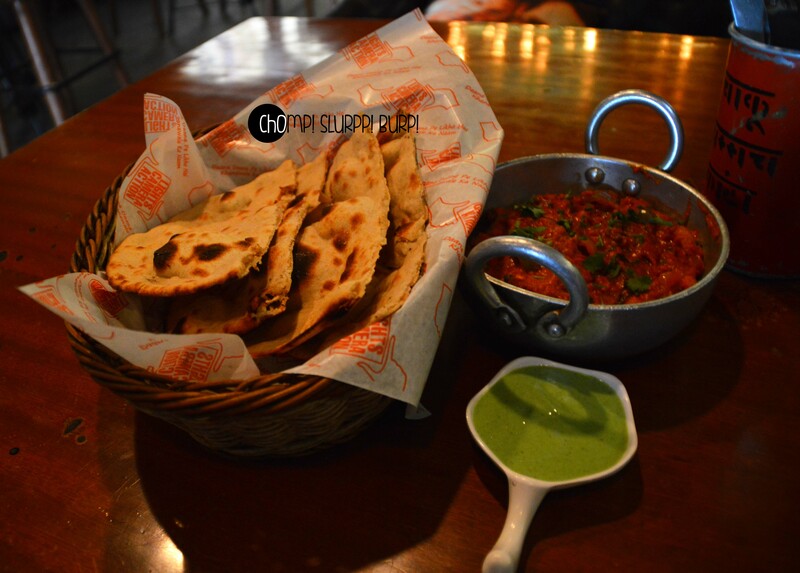 The Makhan Singh combo offers a choice of chicken – butter chicken, kadhai chicken and chicken curry, choice of breads, mint chutney and sirke wala pyaaz. 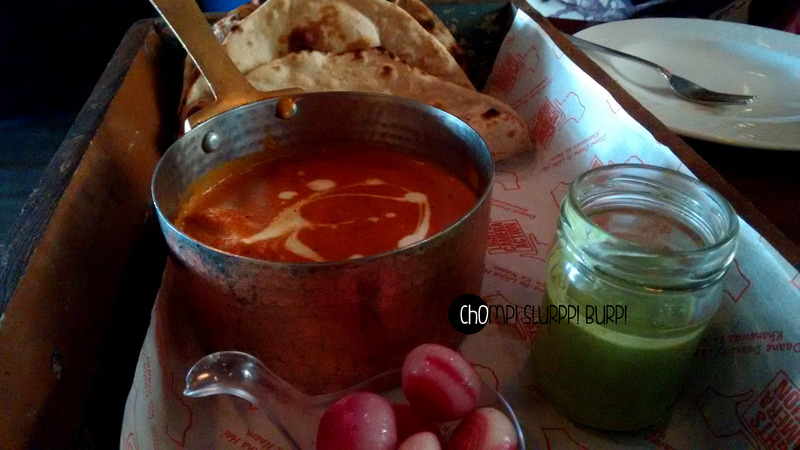 I have tried both the butter chicken and kadhai chicken options and both are exemplary! 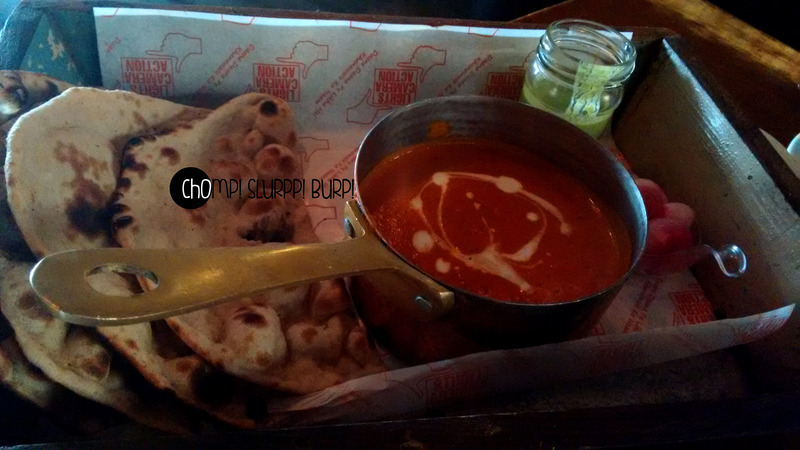 The butter chicken comes in a pan – the thick creamy gravy, slightly on the sweeter side – just how I like it! The chicken pieces were succulent and delectable. The kadhai chicken comes in a mini kadhai – spicy, capsicum laden thick gravy with tender, juicy pieces of boneless chicken. Butter chicken combo, tandoori roti, mint chutney and vinegar immersed onions. I have time and again re-visited them and I still am yet to try their take on pizza- the naanza and the vodka laced gol gappas. But count them in for an exuberant, filmy time and mouth watering preparations.